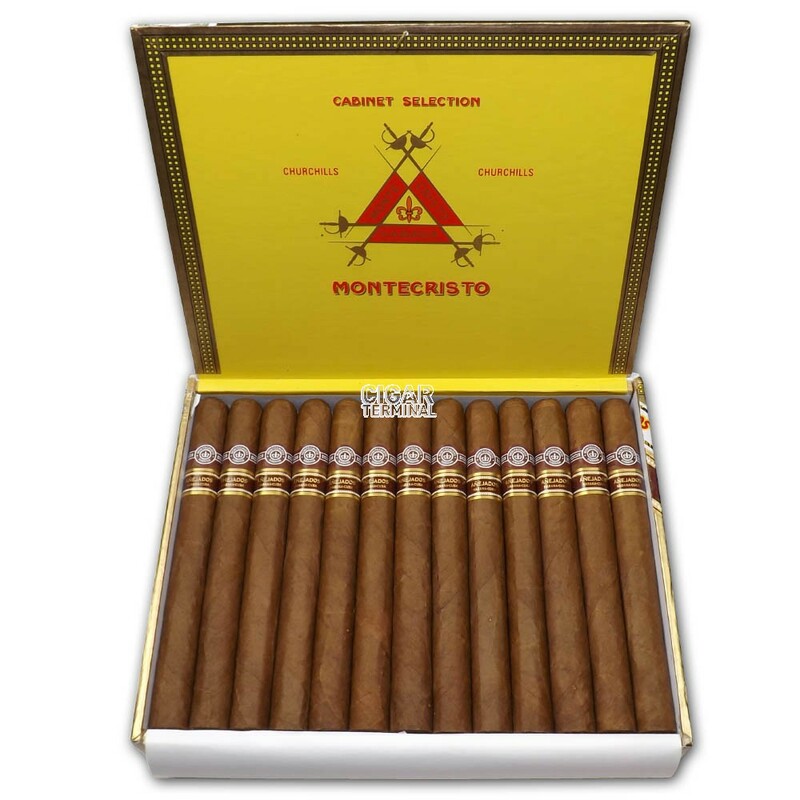 The Montecristo Churchills Anejados is a refined and aged Habano, a Julieta No.2, 7" (178mm) long, of 47 ring gauge, and comes in a box of 25 cigars. 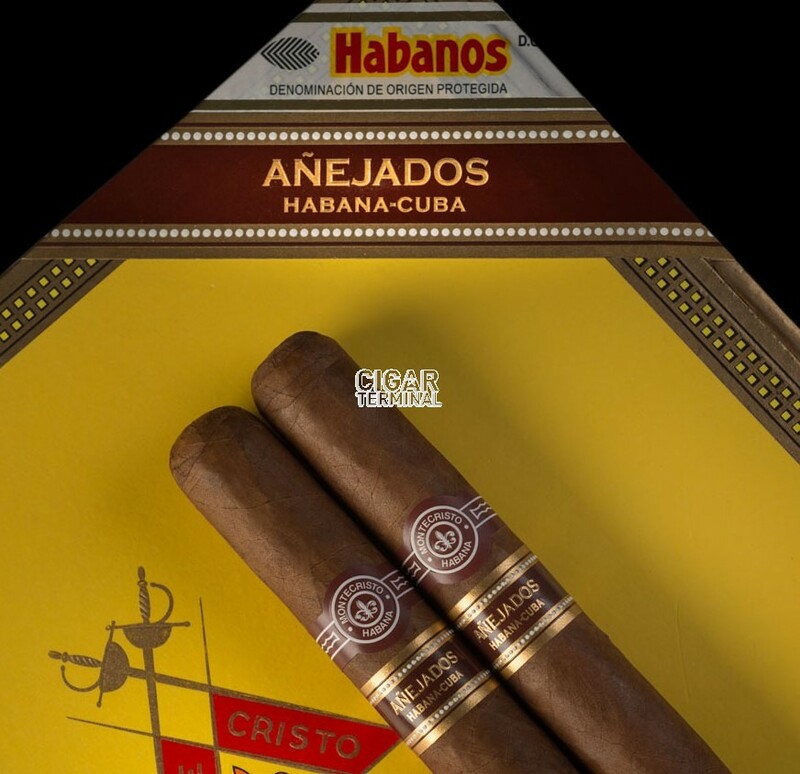 Montecristo Churchills Anejados are a new Linea of Habanos Anejados (Aged Habanos) released in 2015. These are cigars from 2008 production year. 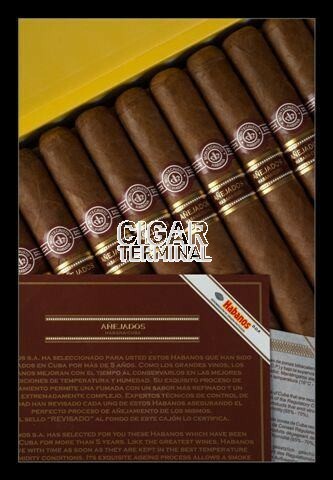 • Habanos Añejados have been aged in Cuba, in perfect conditions of preservation, for a minimum of five years. The concept “Añejado” (Aged) is presented for the first time by Habanos. 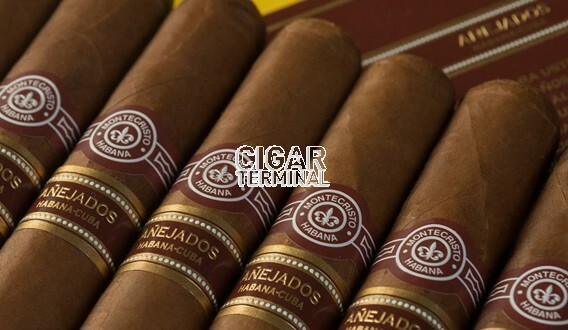 • Montecristo Churchills Anejados already rolled and aged in Cuba for 5 to 8 years, in perfect conditions of preservation, which has enabled them to gain shades and complexity without losing their initial organoleptic characteristics. 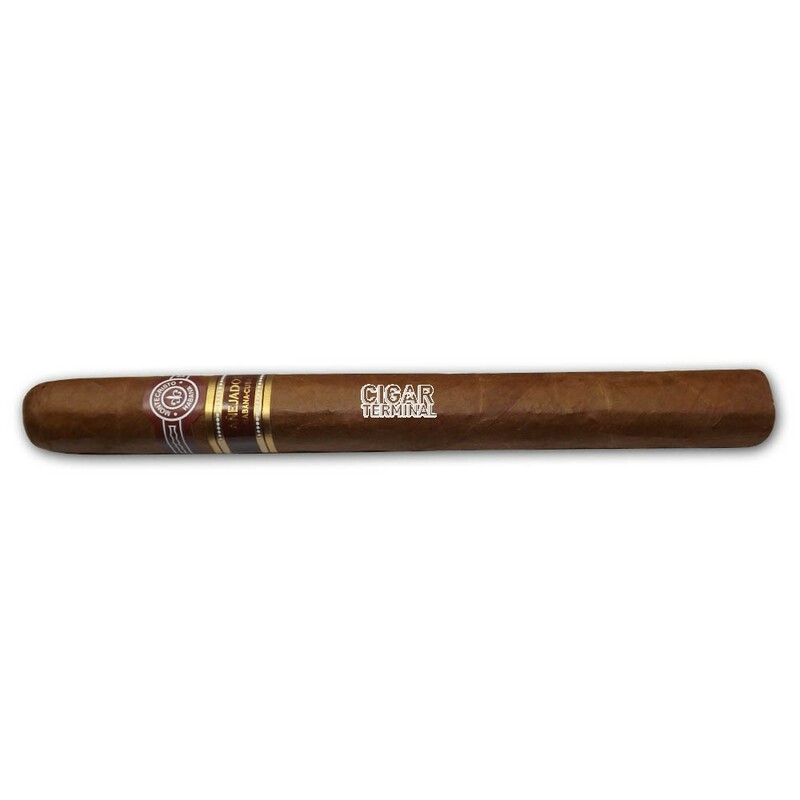 • These cigars are presented as a special edition in limited quantities which make them unique. This new series carry a second Añejado band, as well as the Montecristo brand band. Because of the aging process, the cigars retain many of their original characteristics but have become “rounder and mellower to the palate” while adding touches of wood because of the longer exposure to the cedar boxes that they are placed in while resting. The cigars rest in the same boxes in which they will arrive at retail, though the artwork does not get applied until just before shipping. 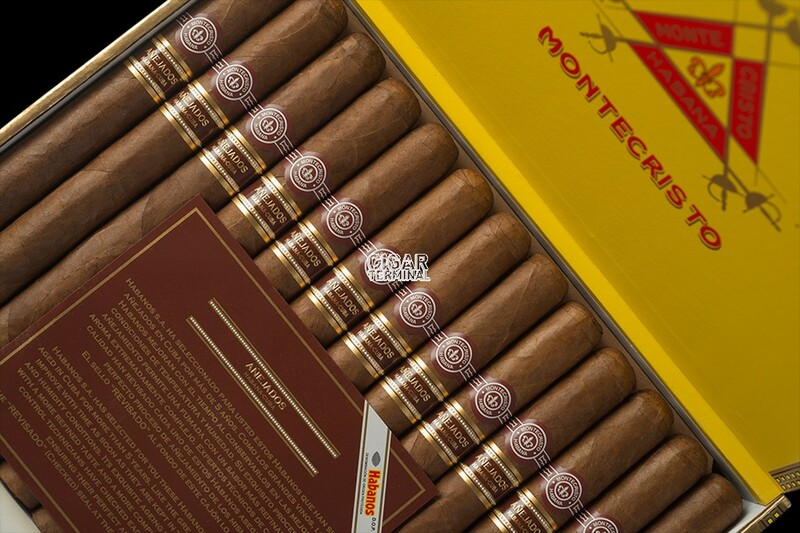 The appearance of the Montecristo Churchills Anejados is perfect. The wrapper is shiny and has a soft touch. The cigar is firm and thick. The triple cap is flawless, round and looks wonderful. Sweet aromas of caramel, barnyard, toffee, cocoa and a touch of cedar emerge from the foot and the wrapper of the cigar. The pre-light draw is perfect. The first third greets you with flavors of sweet cedar, caramel and earth. Overall it is very creamy and sweet, and there is a bit of leather. The balance of flavors is awesome and the flavors are very developed and mature in strength. The cigar reveals its complexity all along this first third, some coffee, some dry fruits, bitter chocolate, and some leather aromas. In the background, there are also some notes of cedar. The amount of smoke produced by the cigar is generous and the burn line is nice. In the second third the cigar settles down and the Anejados is still sweet. Honey, vanilla and coffee are the main flavors, with some cedar and earth still in the background. The body is still medium to full and the cigar draws well. The last third reveals a mellower cigar, with a medium body, where all the flavors are even more noticeable, like in the first third. We get the strong flavors of bitter chocolate, soil, leather and wood again while the sweeter and creamier flavors fade away. It never gets too bitter nevertheless, so the final third is still much enjoyable. The smoke created by the Anejados is still plenty and the cigar never gets too hot or too harsh anywhere in the last draws. These cigars will suit the more experienced palate. Bought a box in April and been keeping them in my humidor at home every since. Humidor is a JC Pendegast that holds 1,000 cigars and keeps them at a constant humidity of 68%. That being said, the cigar's construction is good. Almost no veins in the wrapper and solid to the touch. I used a punch cut and lit it up. The draw was tough. Almost like it was rolled too tight but the previous one that I smoked was the same. This was annoying. Tastes of leather and liquorice. Smooth but not a flavor bomb. definitely an aged cigar. The burn line was almost perfect and only required one touch up as I put it down. As it burned past the halfway point, tastes of white pepper started to take over. a little sweetness at times. Never a ton of smoke just a good clean aged cigar. I like it but given the price, I think there are better out there for less.